Post-holidays, the struggle to get back to routine and back to healthy eating is REAL. Temptation still looms, and it's hard not to curl up with a big ol' bowl of carbs when it's so cold out. So what's a person to do when all you're craving is comfort food? Try cozying up to Roger Mooking's Double Roasted Campari Coconut Soup. This recipe has amazing roasted flavor and creamy texture - without the heavy cream! The kicker? The exotic twist of Roger's Lok Lak sauce. Lok Lak is a traditional Cambodian dish often served with beef, which has been adapted to add a unique flavor to traditional tomato soup. So whether you're making cozy soup for two or deciding on a dinner party menu (just look at that presentation!) 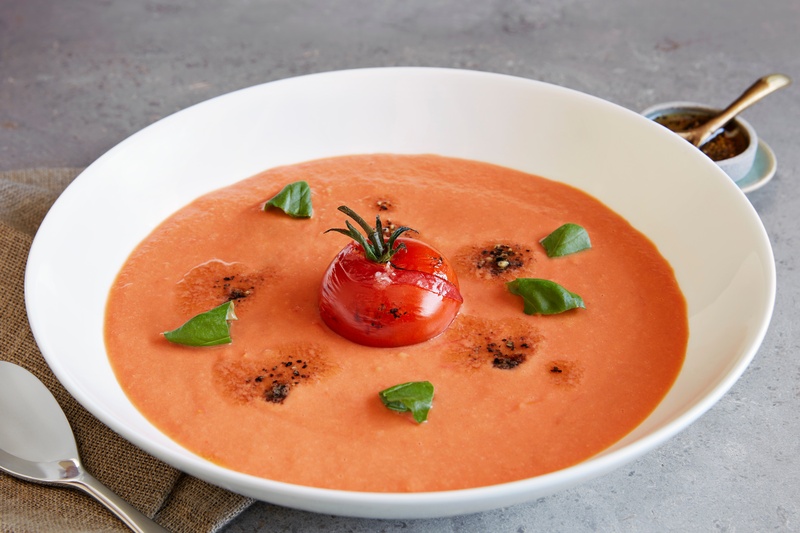 this twist on tomato soup is guaranteed to impress! 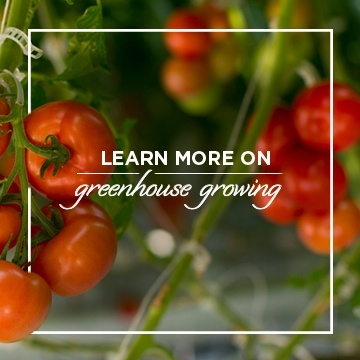 Preheat oven to 350 F. On a baking tray lined with parchment paper, place four whole tomatoes with stems attached. Drizze with olive oil and sprinkle with salt and pepper. Roast for 20 minutes, then set aside. On a separate parchment-lined baking tray, place the remaining tomatoes. Drizzle with olive oil and sprinkle with salt and pepper. Roast for 30 minutes. Once roasted, puree in a high speed blender along with coconut milk. In a medium skillet over medium heat, add vegetable oil and sweat the onions, stirring often until they are soft and translucent, but not browned. Add water and simmer for 2 minutes, then transfer to the blender containing the tomatoes and coconut milk. Puree until smooth then season to taste. Combine all ingredients in a small bowl and set aside. To serve, pour ½ cup of soup into a bowl. Place one whole tomato in the centre, then drizzle with lok lak sauce and garnish with torn basil. 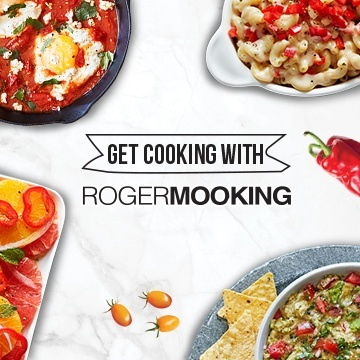 Check out some other great recipes from Roger here!